from 10 am to 4.30 pm at the Marist Convent, Nympsfield. The workshop will be led by former Westminster Cathedral Head Chorister Rupert Bevan. It is aimed at those with some musical knowledge/ability. 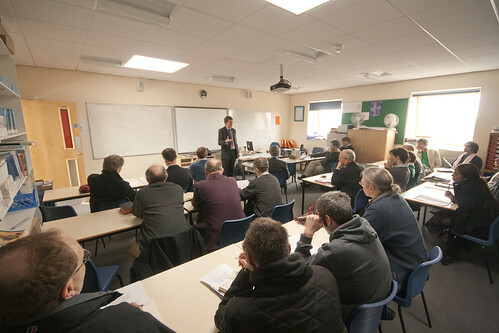 There is no charge for tuition: the purpose of the workshop is to form a small Schola to sing at Mass once a month on a Sunday evening at St Dominic’s, Dursley. The Gregorian Chant Network's annual big chant course - a three-day intensive course (Friday afternoon/evening to Sunday morning) - will take place 5th to 7th April 2013. That is, Easter Friday to Low Sunday, the weekend after Easter itself, at the Oratory School, near Reading (map). It will be led by Christopher Hodkinson, one of the Musical Directors of the Schola Gregoriana of Cambridge. The course has always run alongside the St Catherine's Trust Family Retreat. Apart from seeing the vast number of small children devoted to the Church ancient liturgy, which is always fun, this means that participants in the chant course have the opportunity to sing at a succession of live liturgical events with an appreciative audience. Each of the three days has a Traditional Sung Mass, which have a special interest because it will be the week after Easter. There is also Compline on two days, and Vespers and Benediction on the Saturday. 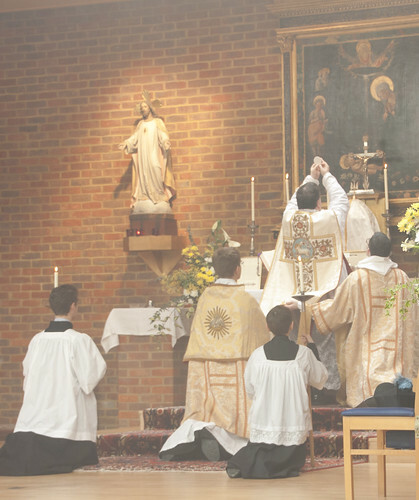 The Retreat this year will be led by Fr John Hunwicke of the Ordinariate of Our Lady of Walsingham. For individuals, and for the Retreat. 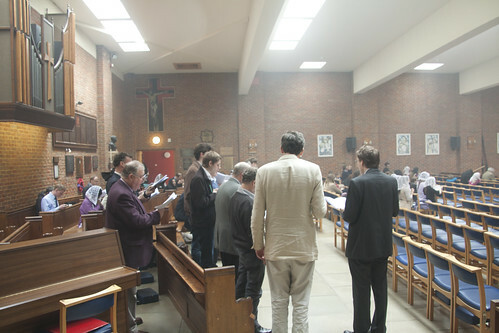 Following the first conference on the music of the Ars Antiqua in Princeton in November 2011, the University of Southampton’s Department of Music will host the second conference in this series at its Highfield Campus on 9-10 September 2013. The conference seeks to shed light on the issues around the discovery and management of known and newly-discovered source material, the implications of claims of meaning in thirteenth-century music, the use of digital technologies in the study of music of the period, as well as other traditional and innovatory approaches. The conference invites papers on any aspect of music of Western Europe between 1150 and 1350. If applicable, authors of papers will be able to benefit from the presence of the artists on the recent CD: John Potter, Christopher O’Gorman, Rogers Covey-Crump, ‘Conductus 1: Music and Poetry of Thirteenth-Century France’. Hyperion, CDA67949, 2012. Visit the websitefor more information. Proposals for papers should make explicit their aims, methods and outcomes, and should not exceed 300 words; they should also explain how the paper would benefit from the participation of the artists given above. Proposals for linked papers or complete sessions are also welcome. Abstracts should be sent in duplicate: one version should be anonymous; the other should include name and full contact details. The conference will provide accommodation for the nights of 8, 9, 10 September 2013, all meals, and aims to reimburse travel from both within the UK and abroad. The conference director, Mark Everist, will be happy to discuss proposals in advance of formal submission (m.everist@southampton.ac.uk). Closing date for submission of proposals for papers is Friday 25 January 2013. Proposals should be sent as email attachments in pdf format to:G.Bevilacqua@soton.ac.uk and this call for papers, together with material relating to the conference will be posted in the ‘Cantum pulcriorem invenire’ website.